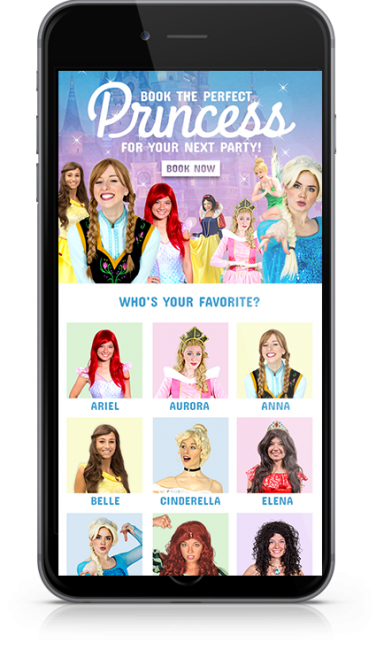 Cypress North’s Marketing and creative teams created a suite of Gmail ads to promote Clowns.com’s popular characters and party rentals. 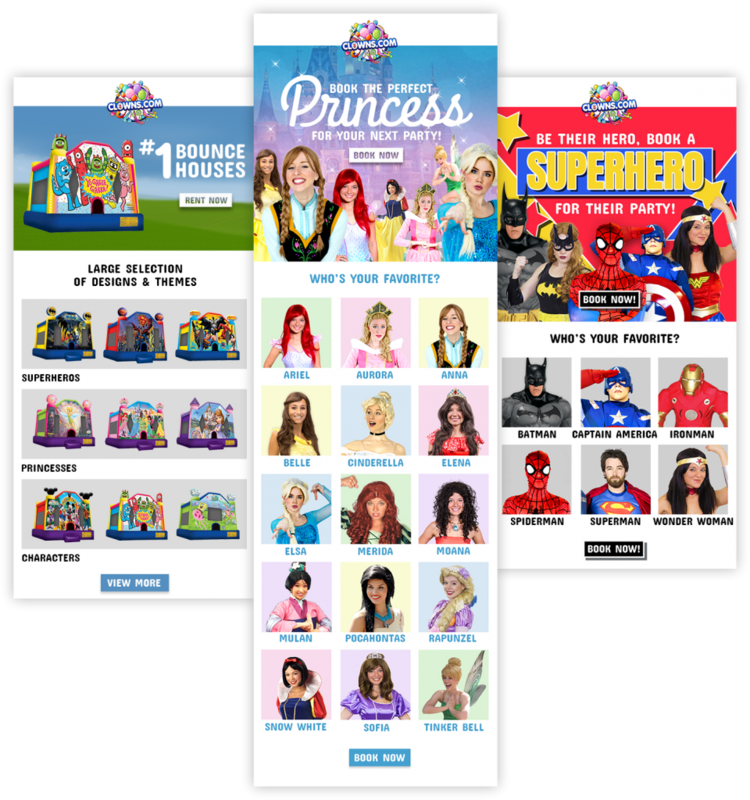 The Gmail ads allowed our team a greater opportunity for creativity as we had more screen real estate to work with and could design targeted CTAs that are customized for the audience. This extra room allowed us to capture the essence of the brand and promote their offerings in a bright, creative way. We took the existing Clowns.com logo and animated it to be eye-catching and engaging. 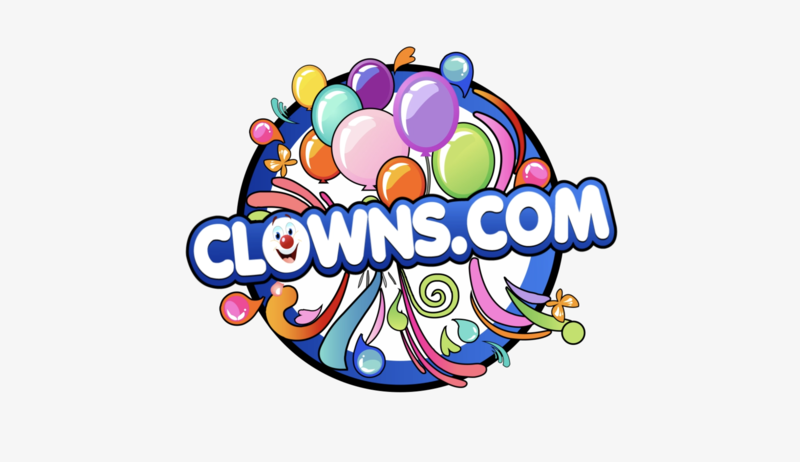 The lively, entertaining animation is reflective of Clowns.com’s fun branding and corporate image and can be utilized in ads and promotional videos online. 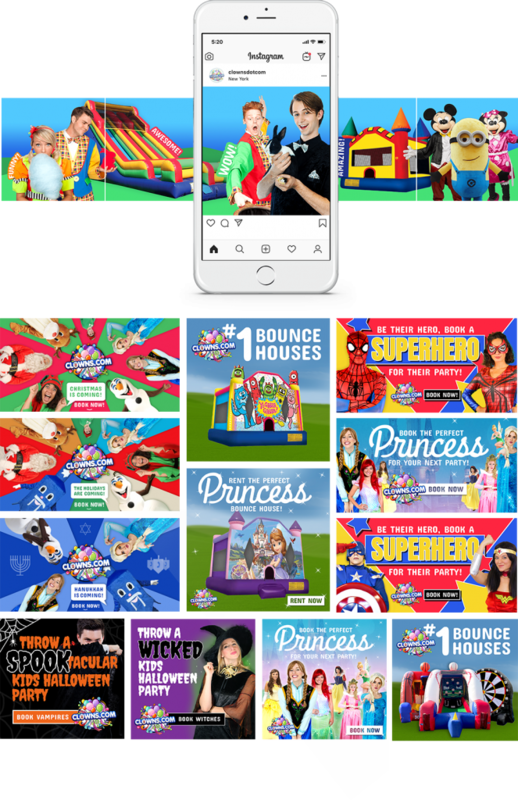 To promote their services for holiday parties and seasonal events, Clowns.com turned to Cypress North’s marketing & creative departments to create compelling ads that visually communicated the essence of their brand to potential customers on social media. Our team utilized imaginative design, animation, and gifs, to promote Clowns.com’s services in an alluring, fun manner. Using Facebook and Instagram’s carousel ad format, we were able to utilize a cohesive storytelling strategy to demonstrate Clowns.com’s unique services.